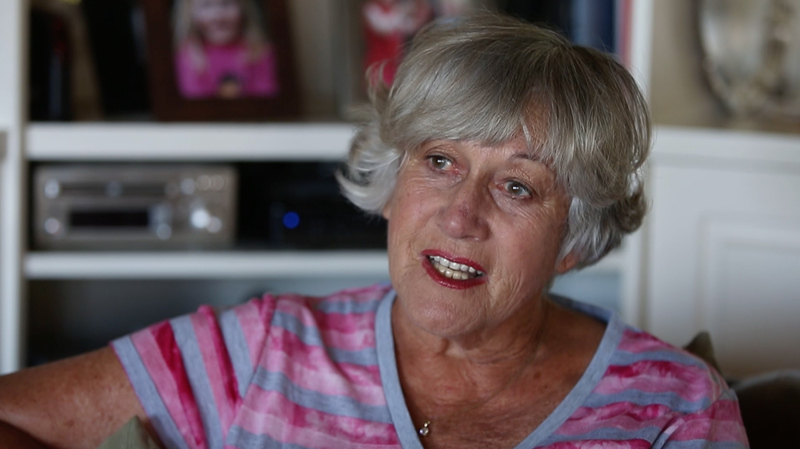 A number of Taranaki’s old rugby legends and their families are suffering. As Dylan Cleaver reports, they have an eerily similar story to tell. I have a little bit of dementia now, and I suppose it relates back to the time when I was playing rugby and did get knocked out. IT WAS NOTa question Sir Wilson Whineray, back then just plain old Willie, had ever encountered before in his rugby career. 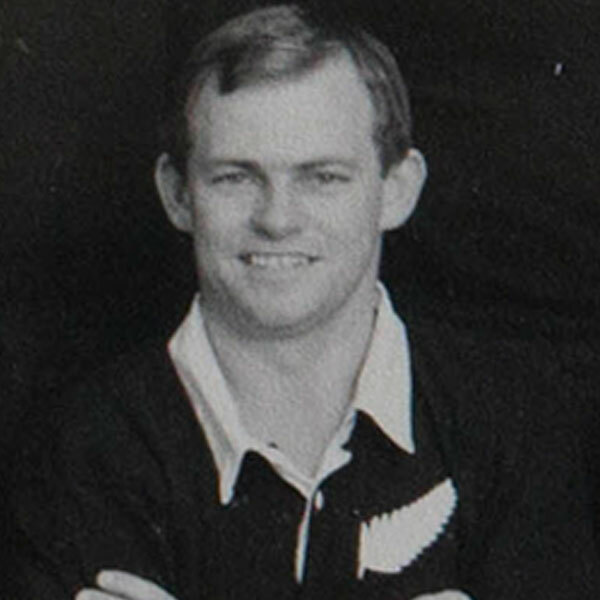 But in the changing sheds at Eden Park, during halftime of the first test between the All Blacks and France in 1961, teenage debutant first five-eighth Neil Wolfe approached the revered All Blacks captain. 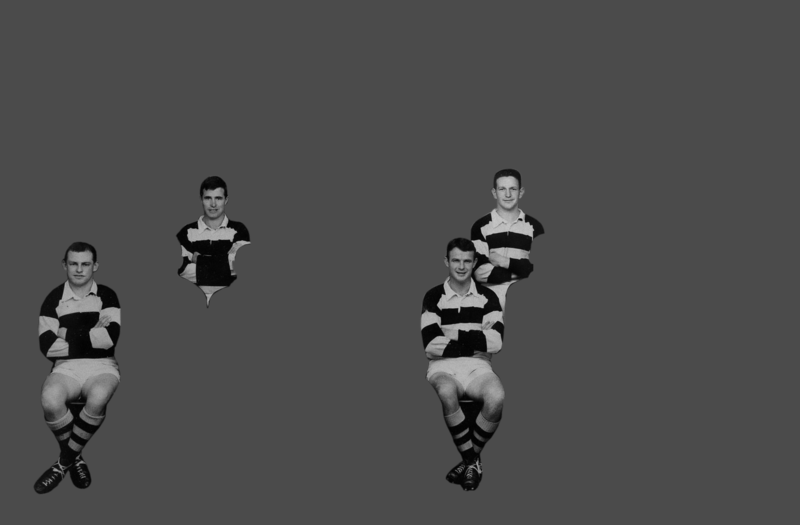 At 19 years and 275 days, Wolfe had just become the youngest All Black. Twenty minutes in, he had set off on a jinking run before being felled by “a coathanger tackle that was probably a bit late too”. He was knocked out and although he somehow played on, it must have been through sheer muscle memory because he literally “woke up” at halftime. As a teenaged All Black, Wolfe was a fleet-footed first five. Just one of those things that happened, again, and again. Fifty-five years on, when Wolfe is in the mood, and he’s usually in the mood, the old rugby tales flow with the frenetic energy of a stand-up performance. 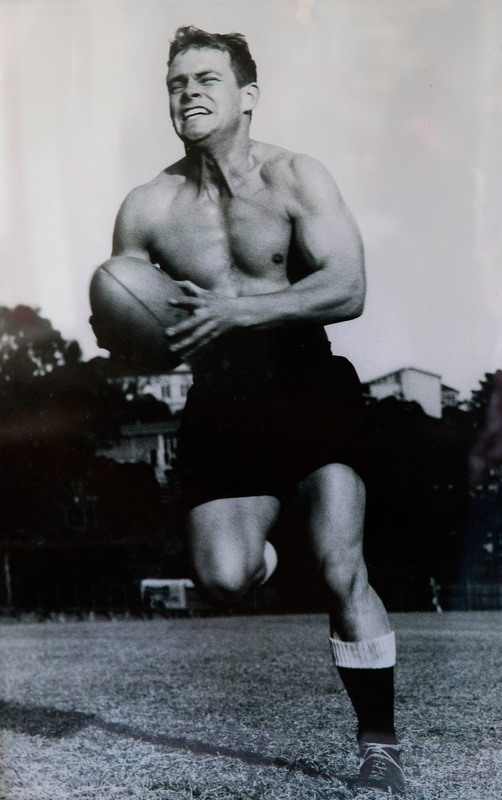 Listed in his playing days as 1.63m – five-foot-four in old money – Wolfe raises himself to full height to deliver his party piece: a pitch-perfect impersonation of Fred Allen’s pre-match speech before the All Blacks played New South Wales Country in 1968. Wolfe paces around his lounge, like it was the dressing rooms at Newcastle, dragging on an imaginary cigarette. The Allen caricature turns on his heel after berating Fergie ‘Fungus’ McCormick and concentrates his glare on the amiable Wolfe. Another drag on the cigarette. It’s a laugh-out-loud performance; a victory for total recall. Which is one of those horrible ironies. When Wolfe wakes up the following day, he will not remember having made the speech, will not remember having invited the Herald into his home and, if it’s a really tough one, will not remember what day it is. “I have a little bit of dementia,” he says. Wolfe, 74, has the classic symptoms of Alzheimer’s disease, the most common branch of dementia’s twisted family tree. He’s chatty and engaging, still. He’s active, fit and, as we discover, has impeccable recall of his playing days. What he doesn’t have is the ability to process new information. As he ages, he will do so surrounded by those who love him, yet alone inside a dysfunctional mind. It is a vicious paradox. It takes no small amount of courage for Wolfe and his family to open up about his present and future. Like the other men you will meet in this story, Wolfe is a proud man with a long list of sports and business achievements. A medal from the Queen takes pride of place in the front room. These families do not want the legacies of these men to be diminished by this cruel disease. They have in some cases agonised over telling their stories, but all recognise its importance. Wolfe has come to an uneasy accord with his condition. He’s acknowledged its presence. He’s comforted, in a strange sort of way, by what he believes is the disease’s root cause: rugby, the game that gave him so much and to which he served so eagerly. Wolfe believes that the countless headknocks and concussions he suffered as a whippet-like five-eighth or centre are the reason his brain is deteriorating more rapidly than his body. The France test wasn’t the first time he was knocked senseless and it wouldn’t be the last. For a while his teammates called him Ingemar, after the world champion Swedish heavyweight Johannson, who was knocked out by Floyd Patterson’s leaping left hook in June 1960. Johannson was left prone on the canvas, his only movements being the involuntary twitching of his left foot. Even today, it makes for grotesque YouTube viewing. Such was the severity of Wolfe’s concussion in an otherwise unremembered match between Victoria University and a Hawkes Bay Invitational XV at Takapau, he was left twitching on the ground, a la Johannson. On another occasion, playing for Taranaki against Wellington, he spent a night in hospital after being knocked out cold. “I suppose [the dementia] relates back to the time I played rugby and was knocked out,” Wolfe says. Ask Wolfe whether, knowing what he does now, he would have walked away from the game after the first knockout blow and his answer is in keeping with the sensibilities of the day. “Not at all. Not at all. It was just one of those things that happened. It was like pulling a hamstring, except you got a knock on the nut,” he explains. “If you got knocked out on the Saturday, you’d be back playing again next week. In those days there was no scientific reason why you couldn’t play again. Whether they do or not is a moot point. Wolfe’s life was in many ways defined by rugby. He met wife Raewyn while recovering from a rugby-inflicted broken arm and oldest son, Todd, played the game to NPC level. Rugby, like business, like family, was binding. I don’t know if he knows who I am. I talk to him every day and tell him. Kyla Hurley reintroduces herself to her father, Kerry Hurley, every day. 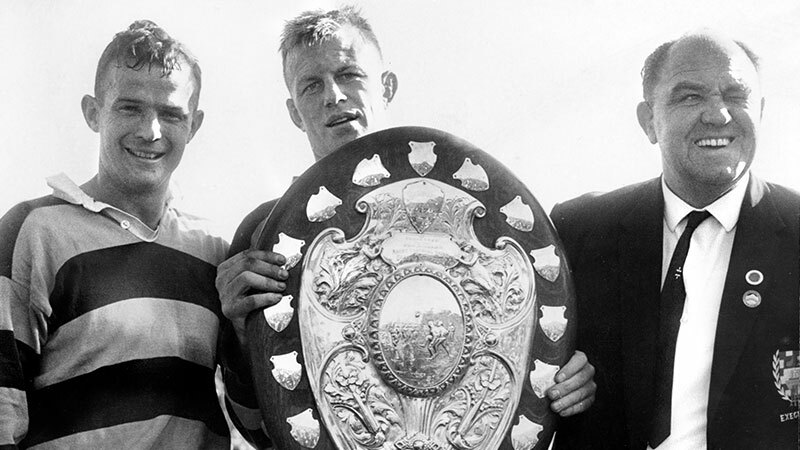 IF WOLFEwas alone, it would be a sad story, but when half the backline of Taranaki’s triumphant 1964 Ranfurly Shield team are afflicted by the same curse, it’s a tragic story. Look at the old team photo and put a circle around the ones that are or have suffered from dementia and you’d be staring at five circles, a number that defies mathematical probability. Inside one of those circles would be Kerry Hurley. 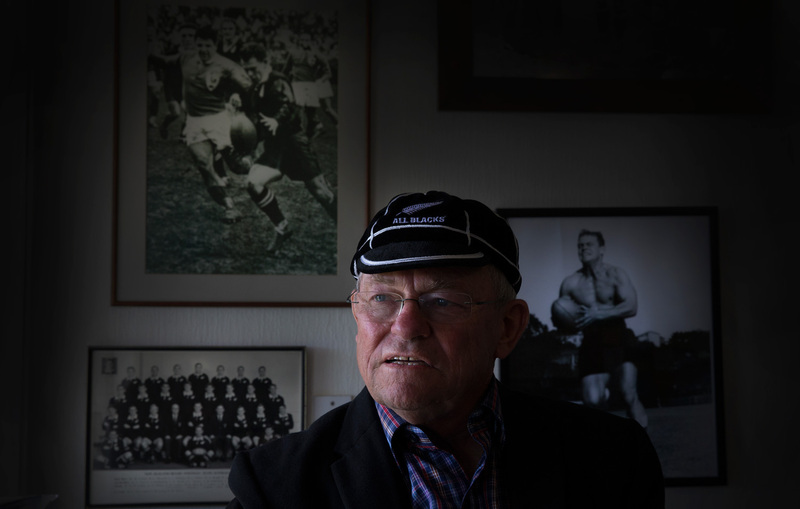 The wing’s place in rugby folklore was sealed when he scored a try on the final whistle to beat Wanganui in 1963 – Taranaki’s first defence of that storied era. 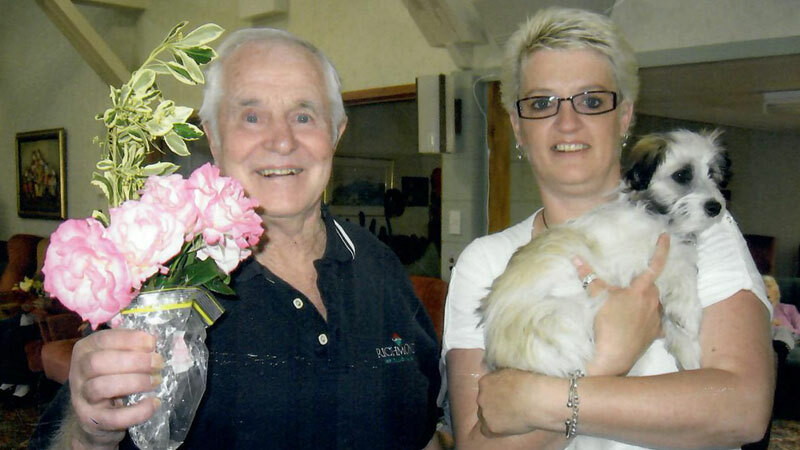 Hurley, 78, now lives in Chatswood Retirement Village in Christchurch, where he is cared for by his daughter, Kyla. Diagnosed with vascular dementia when he was 70, Hurley can’t talk, walks only with assistance and can’t feed himself. Kyla remembers the broken noses, the broken ribs and, it almost goes without saying, the numerous concussions. 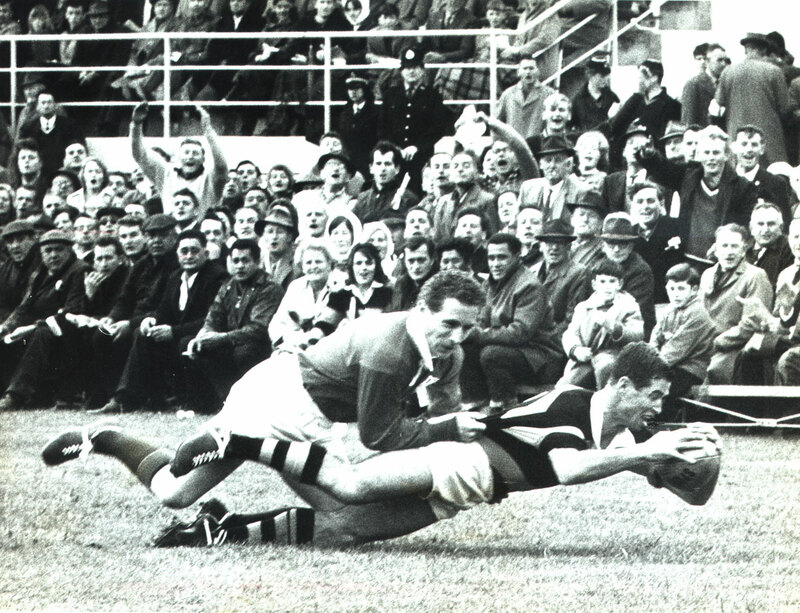 Lions v Taranaki, September 14, 1966: Kerry Hurley scores a try for Taranaki. She has no way of knowing what gets through to her father’s broken mind, but she keeps doing it day after day after day. It’s important, certainly to her, hopefully to him. She’s heard the other stories, too, of Hurley’s former teammates, these legends of the amber-and-black. “It appears that these players are suffering now because of what they went through during their careers,” Hurley says, cutting straight to the nub. There’s a pattern and it’s sad. IT ISthe manifest love affair that troubles clinical neuropsychologist Dr John Glass. In an austere office on the grounds of Taranaki Base Hospital, Glass, at first reluctantly, tackles a subject he is becoming all too familiar with: retired rugby players coming to him with a range of cognitive difficulties ranging from simple memory loss to full-blown Alzheimer’s. There is a misconception among some that dementia is a natural part of ageing. It’s not, it is a syndrome. According to World Health Organisation statistics, New Zealand’s death rate of 19 cases per 100,000 people is relatively high. That number in itself is relatively meaningless and could be attributed to a number of environmental factors. Dementia conditions including Alzheimer’s tend to afflict the elderly. In these days of increased life expectancy, people in the 60s are not considered elderly, yet Glass is seeing more people in this age range come in with dementia symptoms. Dr Glass does not subscribe to the theory of dumb luck or random coincidence when it comes to matters of the brain. “Nothing is a coincidence. The make-up of the individual – their lifestyle, their diet, their exercise tolerance, genes – all of this goes into a melting pot. Like the number of rugby players past and present that walk through the doors of his clinics. If someone does pass away, you grieve and you pick up the threads and move on. We can’t move on. DR GLASSmight call it a “pattern”, but Jan O’Dowda has another term for it. 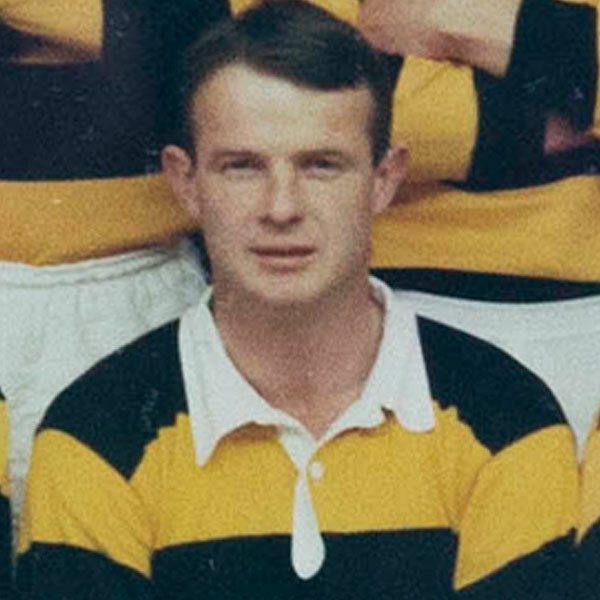 Bob O’Dowda is best known for running a menswear store in town, but he was also a talented rugby player, representing both Taranaki and the famous Tukapa club, mainly at first five-eighth. Bob O’Dowda, seen here in a round-the-mountain relay, suffered a “swift and brutal” decline. O’Dowda is in the grip of advanced Alzheimer’s. Jan would notice Bob withdrawing from social situations in the months before his diagnosis around six or seven years ago. His decline has been swift and brutal and he is now in permanent care. To meet Bob these days is to meet a shell; a fit, outwardly healthy shell, but a shell all the same. He smiles, he shakes your hand, but if anything beyond those reflexive measures is registering in his damaged mind, it is impossible to tell. 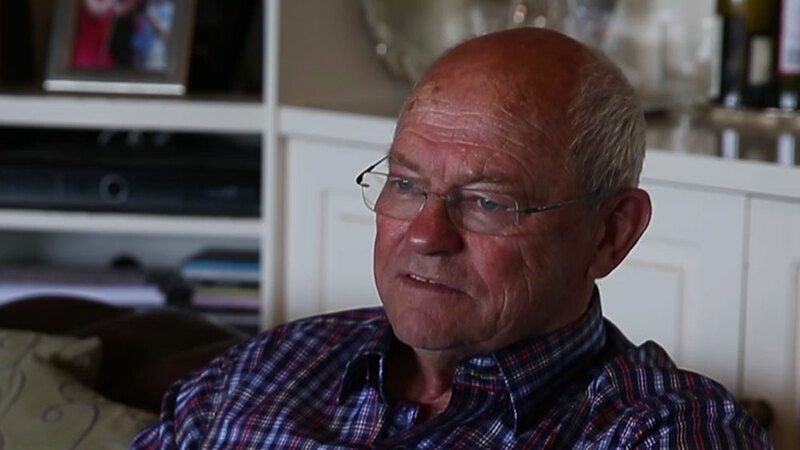 The family, Bob has three children - Karl who played first-class cricket for Central Districts and Otago, Matthew and Sarah were curious as to why Bob, so young at heart and seemingly healthy, was afflicted so badly. Talking to one of Bob’s old rugby mates, Jan made a disturbing discovery. “Bob was knocked out about five times one season,” she says. “At one point he was out cold on the field for about five minutes. There were no replacements in those days, which led to sights that would be considered macabre today but were viewed as heroic back then, like All Black centre Ron Elvidge playing on against the Lions in a test with a broken collarbone and a cut in his face that required four stitches. At least the crowd could see his pain. Those that had their “bells rung” were doing themselves even graver danger, but no one could see it. “In those days it was a case of giving them a drink of water and back into it,” says Matthew O’Dowda. An inescapable dramatic element has evolved when it comes to the issue of concussion in sport. As this is being written, the movie Concussion is opening in multiple screens across the country. Starring Will Smith as Dr Bennet Omalu, it tells a watered-down version of the lengths the NFL went to discredit his discovery of Chronic Traumatic Encephalothapy while performing an autopsy on Pittsburgh Steeler Mike Webster. Iron Mike was a legend of the gridiron who, post-retirement, suffered from depression, bi-polar and dementia disorders. Among other things, Webster had taken to glueing his rotten teeth into his gums and tasering himself to try to get to sleep. Omalu discovered a heavy build-up of a protein called tau in his frontal lobes, released his findings and, as the popular narrative goes, a tidal wave of fear and recriminations swept across the NFL. There are now close to 40 known cases of CTE in deceased NFL players, with “deceased” being the operative word – there is no test that can identify CTE in the living. There is a temptation to lump every condition of the brain together and scream “concussion” but perhaps it is a scream that needs to be heard. A scientific paper published in 2009 revealed that former NFL players were 19 times more likely to suffer from early-onset Alzheimer’s than the general public. Closer to home, a study of retired French rugby players published in December last year highlighted a link between recurrent concussions and major depressive disorders. A higher rate of mild cognitive disorders was found in retired rugby players compared to other retired sportsmen. 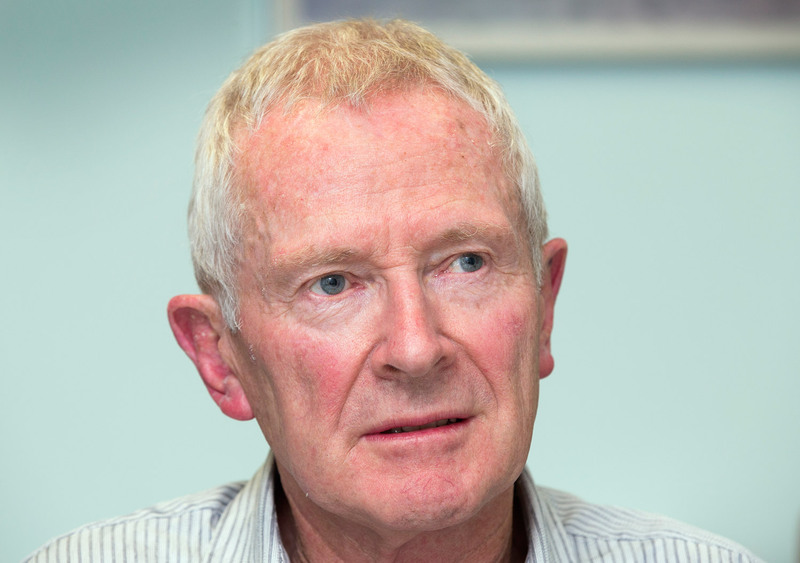 As of yet, “there is no definitive, causal link between Alzheimer’s disease and anything”, says Dr Jonathan Simcock, medical adviser for the Neurological Foundation. “The cause is unknown,” he says, adding that what we’re seeing in Taranaki could be a “mathematical cluster”, or it could be an indication of something more sinister. It could be a horrible ‘fluke’ and it would be bad science to suggest otherwise but… but what if what was happening in New Plymouth to these families is the tip of the iceberg? We are talking about a sport that only got smart about concussion in the past decade – what if we have 40 more years of tragic stories to tell? Jan O’Dowda is sceptical about the coincidence theory when it comes to the plight these men are now facing, or faced before death. “It has been quite revealing really, to learn of other players at the same time – mostly backs it would seem. He was knocked out a few times, they all were. I don’t think they stayed off the field for long. Ross Brown, left, was arguably Taranaki’s greatest player. 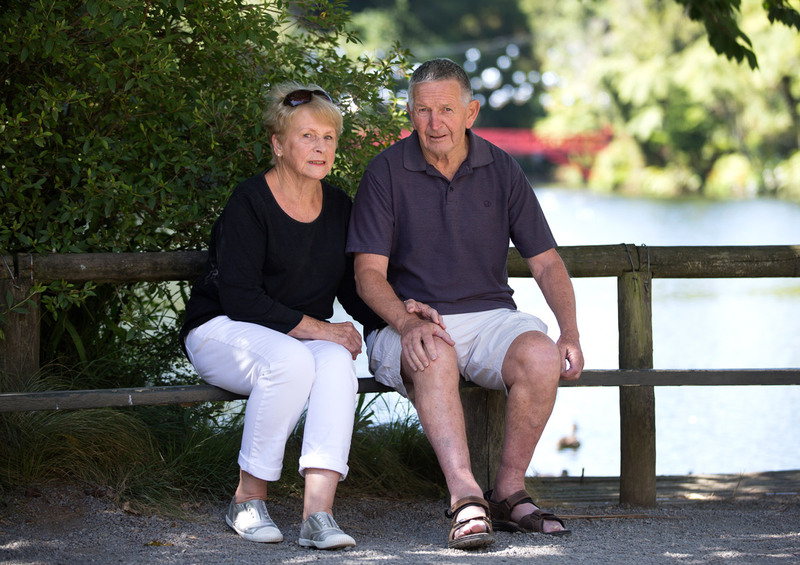 IF YOU WALKin a straight line across Pukekura Park from the O’Dowda house, you’ll find yourself at the end of a cul-de-sac, where Ross Brown lived a happy life with Viv, his wife of 43 years. Brown died in the grip of Alzheimer’s two years ago, aged 79. She first noticed something wrong about nine years prior to his death when all of a sudden Brown, an avid punter, stopped going to the TAB. A whizz with numbers, Brown was having trouble with the simple calculations required to place a bet. In his resthome, he had occasional fits of violence. Brown lost the ability to speak – a confused and incoherent end to a life of class and dignity. Brown was the son of All Black and timber scion Handley Brown. The family name is steeped in Taranaki history. The family patriarch, Henry, who emigrated from Lincolnshire in 1859, fought in the Land Wars, established the sawmill that carried the family name for more than a century, and was the MP for Taranaki. 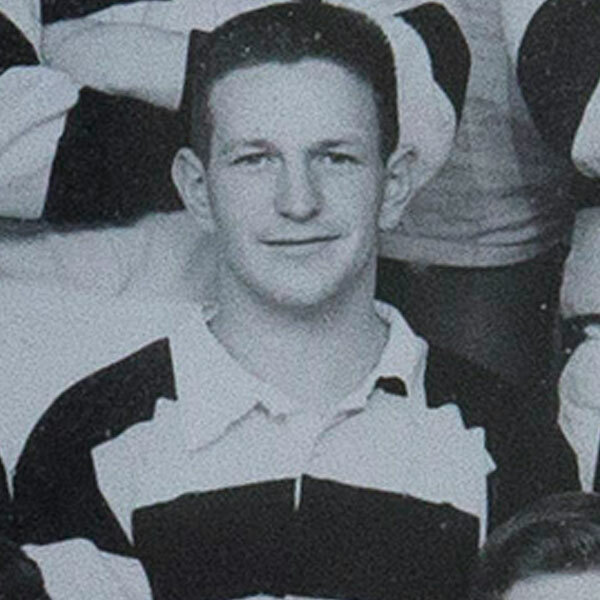 Father Handley played 20 matches for the All Blacks, and Ross’ brother, Don, played for Taranaki and King Country. 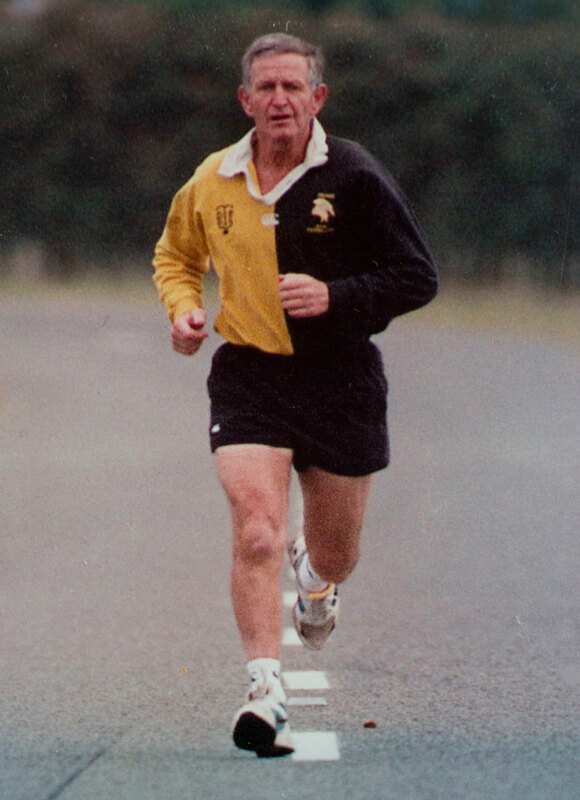 “Pascoe”, as Brown was known to mates and strangers alike, started his representative career as a running first-five who was sometimes criticised for an unrefined kicking game. He ended it as the master of the drop kick and a prodigious punter, oft-criticised for not running or passing enough. 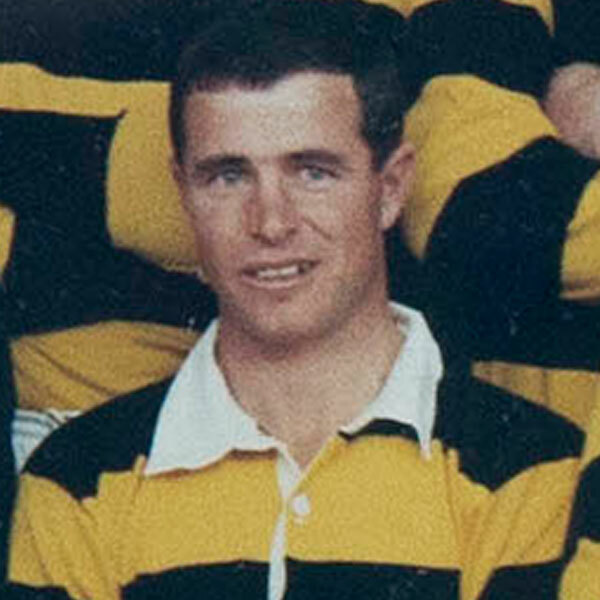 Neil Wolfe, who was often forced out to centre so Taranaki could play both he and Brown in the same side, delivered his eulogy. He was also a player, like Wolfe, like O’Dowda, and like far too many others of the era, who played with serious concussion. 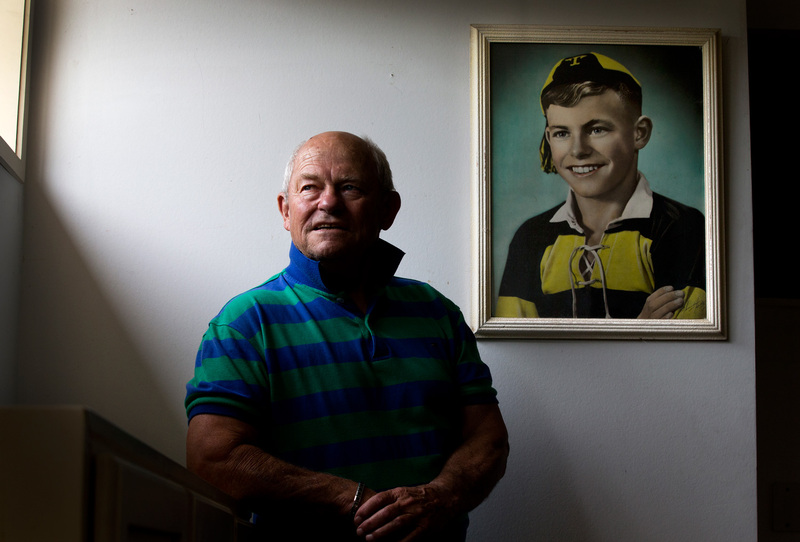 “He was knocked out playing for Taranaki against Waikato in the 50s,” Viv Brown says. “He ended up in hospital for a while. THESE ARE MENwho have passed through autumn to enter the winter of their lives. Like ageing men before them, they suffer through pain and sickness. Not everyone’s life in bookended by a nice, peaceful final chapter. But there is something nagging away at the families. It just seems like there are too many from this era of tough men dying with dementia. 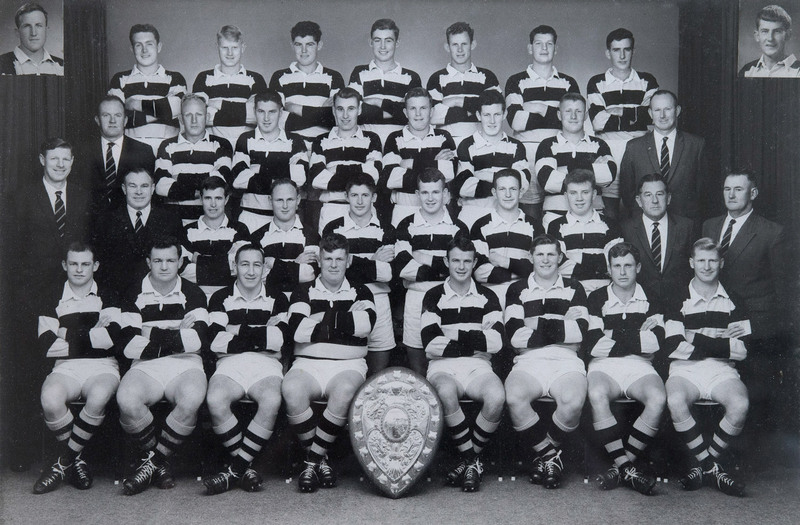 In this sparsely populated, protruding bump of a province, several players from this same team – the 1964 Taranaki Ranfurly Shield team – are succumbing. O’Dowda is unequivocal: if it is happening in New Plymouth, it is likely being mirrored throughout the country. The thought that there are so many out there suffering scares her. Meanwhile, Wolfe will continue to potter away in the garden and entertain his grandchildren while he can. He has joined a group of people who are suffering with early on-set memory problems. It is a “fact of life” that is difficult for Raewyn, his wife of 49 years, to accept, though she tries. “In many ways it is like the longest goodbye." Archive imagery courtesy of the Wolfe family collection. Whose job it is to look after them? Your views: Should high school rugby games be 'touch' instead of tackle?